Miscellaneous → 3. Password System. The user currently logged in will be prompted for their password. 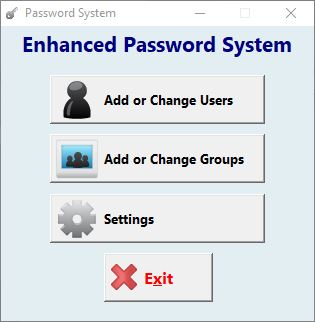 Non-Admins will be unable to access this part of the software. After entering your password, you’ll see this screen. Click on a button for more info!